James is the Senior Partner in a renowned General Practice in the North West of England. He has extensive experience in general practice, medical education and medical politics. He is President of the NAPC, having previously served as Chair. He is the co-author of the new care model, the primary care home, and is one of two national leads for the programme. James served as a senior GP adviser at the Department of Health twice and was the National Clinical Lead for the implementation programmes for clinical commissioning. He was also the Primary Care Lead on the Department of Health Board of the National Clinical Directors. James has also held advisory positions with National Institute of Clinical Excellence (NICE), Care Quality Commission (CQC) and Monitor. He is the Clinical Lead for the National Primary Care Network, a Non-Executive Director of the Royal Liverpool and Broadgreen University Hospitals NHS Trust and Founding Director of Waring Health Ltd.
Dr Nav Chana served as NAPC Chair for four years and has been integral to the development and roll out of more than 200 primary care home (PCH) sites across England. 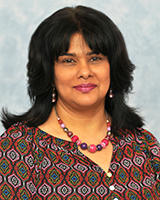 Nav has been a GP at the Cricket Green Medical Practice in South West London for over 26 years. 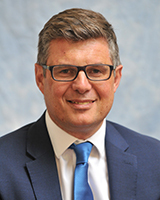 Previously he was Clinical Adviser for Workforce Redesign for the new care models programme, Director of Education Quality for Health Education South London and Postgraduate Dean for General Practice and Community-Based Education. Nav featured in Pulse’s Power 50 list of the most influential GPs in 2018. Dr Peter Aitken, MB ChB MRCGP FRCPSYCH DCH DRCOG FHEA worked briefly as a GP in South West London before pursuing a career in Psychiatry. He is Consultant Liaison Psychiatrist, Royal Devon and Exeter Hospital. Director of Research and Development and Director of Medical Education at Devon Partnership NHS Trust and Honorary Associate Professor University of Exeter Medical School. He was RCPsych Psychiatrist of the Year 2016 and is immediate past Chair, Royal College of Psychiatrists Faculty of Liaison Psychiatry 2013-17. He is trustee at the Anthony Nolan Trust, deputy chair of the RNLI Medical Committee and elected Member of the RNLI Council. Peter lives and works in Devon. 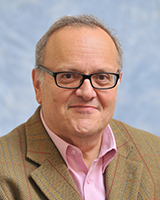 Dr Charles Alessi, a GP in south-west London, is Senior Adviser to Public Health England and acts in various external-facing positions government and other agencies. He is Lead for dementia and risk reduction, and Director of Antibiotic Prescribing for Public Health England. Dr Alessi has extensive experience in healthcare in various senior positions and was Chairman of NAPC from 2012 to 2014. 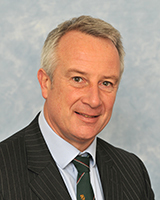 Previously, as Medical Director and PEC Chair, he was involved in the Kingston Clinical Commissioning Group. Dr Alessi also has extensive experience of working in both Europe and the Americas, and of military medicine. He is Adjunct Research Professor for two faculties in the University of Western Ontaria, Canada. 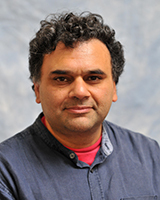 He’s also Visiting Professor in Psychology and Language Sciences at University College London, and Visiting Scholar at the University of Windsor, Ontario. Dr Sanjiv Aluwahlia has broad experience in medical education and its management. 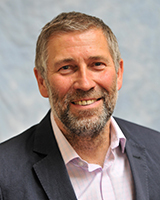 Previously, he was a training programme director, associate director and head of speciality school for general practice and primary care at Health Education England. He played a significant role in the strategic development of multi-professional education in north, central and east London. Sanjiv works as a GP in a deprived community of North London. He is also completing a doctorate in education from the Institute of Education. His education research includes the role of medical education in improving patient care. He has published extensively in speciality and educational journals and is editing a book on specialty training in general practice. Dominic was a presenter and award-winning reporter with BBC radio and television for more than 20 years, working chiefly on the Today programme and Newsnight. He also presented numerous documentaries and a discussion programme on Radio 4 and a series of radio programmes on health issues for NHS Choices and Age UK. Dominic is now committed to making films aimed at supporting people to self-manage long-term conditions. He co-founded The Sound Doctor in 2012 which has a library of more than 300 short, effective videos. Ben’s passion is educating his patients, so they understand their mouths, preventative regime and treatment. 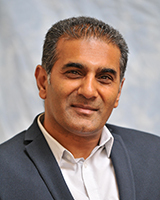 He trained as a general dental practitioner, tutored at Manchester Dental Hospital, and is a Dentist With Specialist Interest (DWSI) in restorative dentistry. He runs a group of practices, Revive Dental Care, which have several NHS contracts catering for the oral health needs of hard to reach groups and the general population within the NHS Dental Pilot scheme. 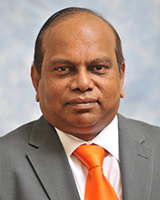 His wider professional activities include Press and Parliamentary Representative for the British Dental Association, Co-optee of the National Institute of Clinical Excellence (NICE) Public Health Advisory Committee, Trustee of the Oral Health Foundation, and Performance List Panel member for NHS England. 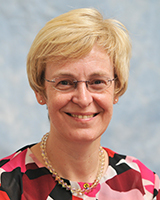 A highly respected, practising community optometrist, Susan is Clinical Adviser to the College of Optometrists and optometric adviser to NHS England (South (South East)). 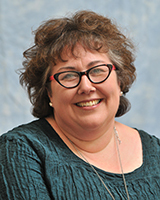 She is a case examiner for the General Optical Council and has chaired both her local optical committee and the national Optometric Advisers Group. As well as her optometry degree, she has two law degrees, a Master’s in medical ethics and law, and a PhD and has completed the College of Optometrists’ Professional Certificates in Glaucoma and Medical Retina. She is interested in expanding optometrists’ role in managing patients within primary care. Susan designed and implemented the first ‘repeat fields and pressures’ scheme in the UK, which enables optometrists to refine their own referrals for patients with suspected glaucoma rather than sending them all to hospital. Paul was a full-time partner in a dispensing practice in Yorkshire for 20 years, as well as being a GP trainer and programme director. In 2009 he left to develop his portfolio career, which includes dermatology, cosmetic medicine, occupational medicine, and general practice. As President of the British College of Aesthetic Medicine, he is working on regulation in this sector. He is Quality Assurance Tutor for the Yorkshire Deanery. Previously, he was Director of OneMedicalGroup, a private GP provider company. Paul has worked with several Conservative governments on health policy and was chair of Conservative Health. 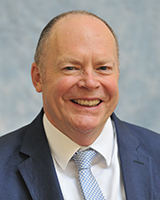 David originated the primary care home concept, having spent 36 years spent as a GP at Castlefields Health Centre in Runcorn, and nine as National Clinical Director for Primary Care at the Department of Health. He was also Medical Adviser to the Department of Health’s Commissioning and System Management Directorate. David is an Honorary Visiting Professor at Manchester University, as well as holding the positions of Chair of Primary Care Commissioning Community Interest Company (PCC), Trustee of Guy’s and St Thomas’ Charity, Trustee of the Queen’s Nursing Institute (QNI), Chair of London GP Out of Hours Service Forum and Co-Chair London Integrated Urgent Care Clinical Governance Committee. David is also Chair of PharmaScan for DH and Chair Halton Accountable Care System. He was awarded the OBE in 1997. 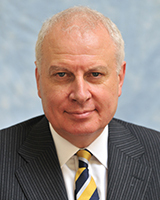 Steve became Chief Inspector of General Practice in September 2013. Previously, he was NHS England’s Deputy National Medical Director, with the lead responsibility for addressing health inequalities in line with the NHS Constitution. From 2011-2015 Steve was Chairman of the National Inclusion Health Board which focused on improving the health outcomes of vulnerable groups including the homeless. He was Chair of the NHS Future Forum which was launched in April 2011. Steve was Chair of the Council of the Royal College of General Practitioners between 2007 and 2010. For the past 12 years, he has been a Member of Faculty at the Harvard Macy Institute, Harvard University in Boston, Massachusetts. He is a Non-Executive Director of University College London Partners, Honorary Professor at the University of Birmingham and Honorary Professor at the University of Warwick. Steve received a CBE for services to medicine in the Queen’s 2010 New Year’s Honours List. Stephen Foster is the national clinical leader for pharmacy and works as a respiratory and allergy specialist in several GP surgeries in Mid Essex CCG. Recognised as an entrepreneur in his field, Stephen has won many awards over the last few years. He holds a number of key leadership positions, most notably as a member of the Executive and Council of the NAPC. He is also the director of his own healthcare consultancy, Carpe Diem Health Limited and the clinical director for Firza Group. Roland has broad experience in the NHS and a range of disciplines. He worked in accountancy, tax and project management before joining the NHS in 2008 where he has seen both sides of the process as provider and commissioner. 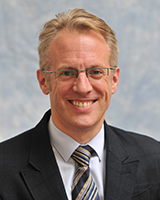 Roland was appointed Strategic Director of Sentinel Healthcare in 2014. In the NHS, he has managed projects and developments including IT and service transformation and was appointed to the Q network through The Health Foundation. Q is an initiative connecting people, who have improvement expertise, across the UK. Roland fully supports the work of the NAPC and wants to see the NHS flourish in these difficult times. 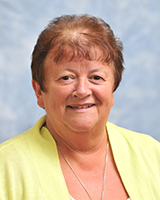 Val, who has worked in primary care within general practice since 1979, was awarded Practice Manager of the Year in the National Primary Care Awards 2006. She has been a practice manager since 1989, and in 2006 became sole contractor of Bridges Medical Practice after being a partner for some years. She was ‘last man standing’ after a series of retirements, emigration and sickness, but with the LMC’s support and encouragement she became the first practice manager in the country to be sole contractor employing GPs as salaried. Val is now lead practice manager at Gateshead CCG and is interested in learning disabilities and veterans. David is Chief Executive of the Federation of (Ophthalmic and Dispensing) Opticians, FODO Ireland and the National Community Hearing Association – representing community eye health and hearing providers in the UK and Ireland. A health strategist and policy maker, David spent the first half of his career in the Department of Health and the NHS Executive (now NHS England) where he developed total purchasing, national service frameworks and the primary care led NHS. David is passionate about improving health outcomes (quality, as well as quantity of life), addressing health inequalities and tackling sensory impairment at all levels to enable every citizen to fulfil their potential. 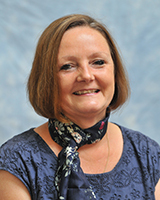 Maria Howdon is the Transformation Lead for the integrated accountable care organisation in Thanet, Kent. She has more than 20 years’ worth of experience in all aspects of primary care. In 2016, she won the NAPC’s Healthcare Provider of the Year Award for her work with new care models including the primary care home (PCH) programme. 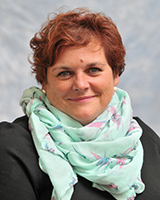 Maria is a lay member of the NAPC Executive Board and PCH representative on its Technical Advisory Group (TAG). She is leading on the development and implementation of the PCH model across Thanet, the General Practice Forward View, service and workforce integration and system-wide transformation. Manjit has a built up a strong affinity with the primary healthcare sector over the years, helping the family business grow from four community pharmacy branches to a corporate business comprising 61 community pharmacy branches. The core community pharmacy employs more than 400 staff. 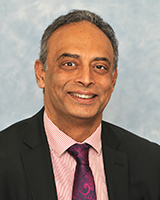 While CEO of the community pharmacy group, Manjit was directly involved in relocating the business head office to new headquarters in the heart of Walsall’s town centre. Manjit sits on a number of other local boards and advisory committees such as local pharmacy committees. He is a member of the Independent Chemists Association and employment and training provider organisations including Steps to Work, Innovation Health and Wellbeing and Walsall Economic Board. Dr Steve Kell is a managing GP partner at Larwood Surgery which cares for 32,000 patients in North Nottinghamshire. The practice was awarded the Royal College of General Practitioners’ Quality Practice Award in 2012 and was rated “outstanding” by the Care Quality Commission in 2016. As a member of the NAPC’s executive committee he is passionate about developing sustainable primary care teams and a wider workforce. Previous roles included Chair of Bassetlaw Clinical Commissioning Group and Co-Chair of NHS Clinical Commissioners until March 2016 when he moved to develop the primary care home model at his practice. Dr Kell was awarded an OBE in 2014 for services to primary care. A qualified pharmacist, Michael has 30 years’ leadership and operational experience in the pharmacy and healthcare sector. He has an excellent and detailed understanding of community pharmacy, the NHS and the delivery of healthcare products and services. Michael has had national roles within community pharmacy, allowing him to apply his diverse and extensive skills-base in people leadership, as well as customer-facing business operational and development arenas. Michael led an extensive team of regional business development managers to drive market-leading performance in new commissioned pharmacy-enabled services for NHS, voluntary and commercial sector clients. He is a member of NHS England’s Local Professional Network for Pharmacy. He joined the NAPC Council in September 2016. 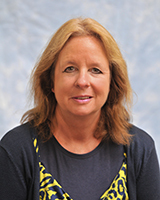 Karen graduated in physiotherapy in the mid-1980s, initially specialising in musculoskeletal therapy before moving into rehabilitation and general management. Between 2007 and 2014, Karen was Chief Health Professions Officer at NHS England and the Department of Health, the government’s most senior adviser on the allied health professions. She joined the Chartered Society of Physiotherapy as Chief Executive in 2014 and has commented regularly on health policy. 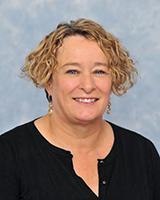 She is a Fellow of the CSP and the Society of Musculoskeletal Medicine, is visiting professor at Leeds Beckett University and has five honorary doctorates. 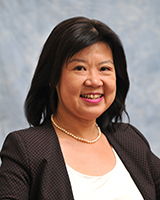 In 2014, she was elected President of the Society of Musculoskeletal Medicine. Karen has raised the profile of physiotherapists and other health professionals by speaking at a range of national and international events. After completing pre-clinical work at Pembroke College, Cambridge, Jeremy qualified in 1980 from Guy’s Hospital in London. He became a GP principal in 1986. Until 2006 he worked in a Personal Medical Services (PMS) practice in High Wycombe, where he was involved in first wave fund-holding and developing the local GP out-of-hours cooperative. He was also Clinical Governance Lead and Chair of The Professional Executive Committee of Wycombe Primary Care Trust. In 2005, Jeremy and GP colleague Dr Ajit Kadirgamar launched The Practice Group, which is now one of the largest multi-site general practices in England. Jeremy still works as a GP, although spends more time in his roles as Director, Chief Medical Officer, Responsible Officer and Lead for Quality Assurance for the group. 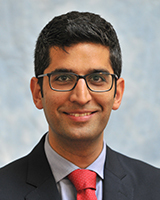 Harjit has a MSc in Health Economics, Policy and Management from the London School of Economics. In 2013, he joined The National Community Hearing Association (NCHA), which represents community hearing care providers in the UK. Previously, he worked in various clinical, policy and operational roles across community practice, the hospital service, the third sector and international clinical trials. His special interests include health economics, policy analysis and health care systems. The NCHA has been a member of the NAPC since February 2015. Dr Peter Smith has been a GP for 28 years in Kingston upon Thames where he is senior partner in a large suburban practice. 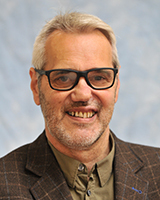 He is Co-Chair of the Self Care Forum and in this position has jointly founded the Self Care Academic Research Unit at Imperial College where he is Honorary Senior Research Officer. He is a board member of Kingston Clinical Commissioning Group and Ieads on children’s services. His interests include clinical quality, evidence based medicine, children’s services and self care. Dr Smith was NAPC Chair from April 2000 to September 2004 and was appointed president in September 2005. 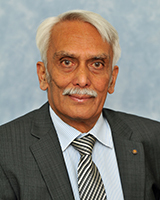 He received an OBE for services to medicine in 2004. 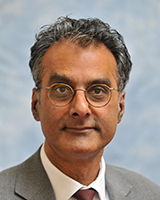 Ash Soni, OBE, was re-elected as President of the Royal Pharmaceutical Society in July 2017, having previously held the same position from 2014-2016. He was a board member of Health Education South London from 2013-2015 and as a member of the NHS Future Forum’s clinical advice and leadership work stream, he was tasked with reviewing the Health and Social Care Bill. In the second phase of the Forum, he jointly led the workstream on ‘The NHS’s Role in the Public’s Health’. Ash has been part of an expert advisory board reviewing the NHS constitution. In 2016 he was appointed visiting professor at Huddersfield University. Sheinaz Stansfield is a Managing Partner, leading a multi award-winning practice functioning beyond the Five Year and General Practice Forward View. She trained as a nurse and health visitor, and has held senior management roles in commissioning and provision of health services. She became a Practice Manager in 2008 and as Practice-Based Commissioning Organisational Development lead, she supported the set-up of NHS Gateshead Clinical Commissioning Group (CCG). She was then elected as the practice representative on the NHS Newcastle Gateshead CCG Governing Body. She is the Practice Manager Representative on the Royal College of GPs Northern Faculty Board. At a national level, she is a faculty member of NHS England’s Sustainable Improvement Team and member of the NAPC Executive and Social Prescribing Lead, which facilitates her passion for patient involvement, social prescribing and quality in general practice. Jo Wadey is the Practice Business Manager at St Lawrence Surgery in Worthing and Chair of the West Sussex Practice Managers Association, and is passionate about promoting self-care and its benefits. St Lawrence Surgery is a model of self-care excellence and Jo is behind many of the exciting and innovative initiatives that take place at the practice. She is passionate about real patient and public involvement and development of practice managers to face the challenges of managing much larger practices and federations. 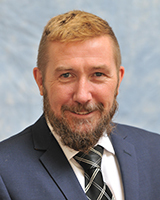 Steve Williams is a former Royal Navy Officer and joined the Health Service in 1984 and worked as a Chief Management Accountant for an area Health Authority. He has worked at all levels of the NHS an in particular Primary Care. He currently provides practice management support services to various GP Practices and healthcare organisations. 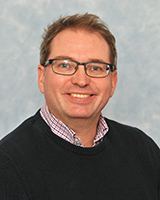 Steve has been an associate tutor at the Institute of Health Policy Studies at the University of Southampton, and has worked for the professional development committee of the Institute of Healthcare Management (IHM). He has worked as practice accreditation assessor for the RCGP. He is a qualified accountant and a Fellow of the Chartered Management Institute. He is Co-chair of the Practice Management Network and Honorary Treasurer (council member) of AMSPAR and is a lead tutor/assessor for the AMSPAR management qualifications. He is a council member of the NAPC. Steve has written articles about primary care and is the author of a variety of practice management publications. Steve is a liveryman of the Worshipful Company of Management Consultants and received the freedom of the City of London in 2013.